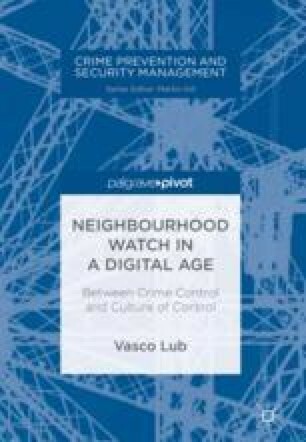 This chapter covers studies on neighbourhood watch from the English-speaking world as well as all available studies from the Netherlands, where research on the topic is still in its infancy. In the English-speaking world, the phenomenon of neighbourhood watch has been investigated since at least the 1980s, primarily in terms of its effective contribution to lower crime levels. The literature overview starts in the 1990s by discussing findings from meta-analyses and some single studies. One of the main conclusions is that the international literature on neighbourhood watch is too much focussed on efficacy (does it work?) and not enough on social effects and mechanisms (how does it work? ).